Farming ain’t easy, we assume, but facial-recognition software could soon make it a bit less hands-on. 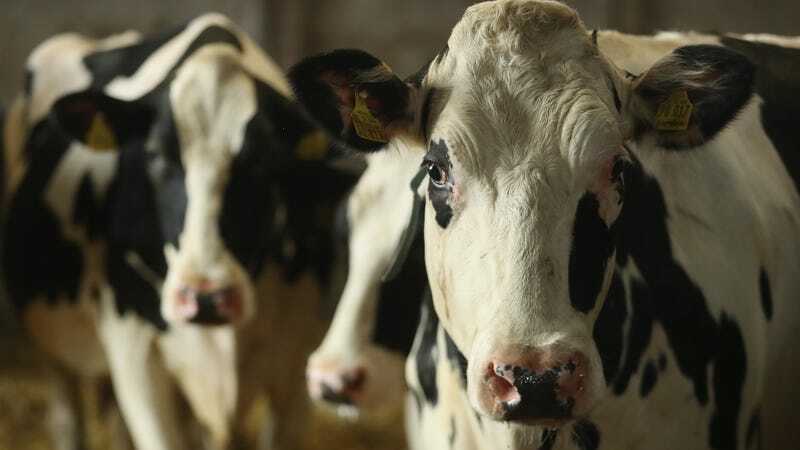 Cattle industry publication Drovers—“Driving the beef market”—reports agricultural company Cargill has acquired a stake in an Irish startup that uses facial recognition to monitor dairy and beef cows for health and behavior problems. The Irish tech company, Cainthus, creates “predictive digital image software for agriculture,” which in this case involves engineering a system that can recognize individual cattle by their faces and hide markings, then survey them for issues related to food and water intake, lameness, and temperature, Bloomberg reports. Once off the ground, this technology means Old MacDonald no longer has to check on the herd himself; he can kick back with his Macbook Air and wait for the software to spot issues. “It’s a question of ‘how do you do some of the same activities’ but ‘in a more efficient manner,’” SriRaj Kantamneni, Cargill’s managing director for digital insights, tells Bloomberg. The development echoes a recent story from China, where a company called ZhongAn has strapped 100,000 chickens with GPS and facial-recognition devices so concerned consumers can better track their meal from flock to fork. The service is called GoGo Chickens.